We had the opportunity to speak with Maverick Commins, Owner and President of Supreme Auctions. Possessing unparalleled experience in the luxury real estate market, Maverick has acquired large success in this niche area of the industry and specializes in Accelerated Marketing. We covered several current topics including potential sales prospects, international auctions and the future of online-only auctions. PA: Tell us about Supreme Auctions and your role with the company. MC: Supreme Auctions is a global Luxury Auction firm who has revolutionized the way luxury properties are sold both in the U.S. and abroad. 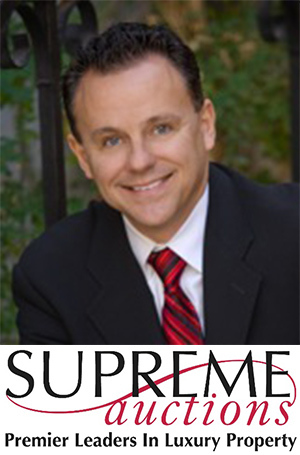 Supreme Auctions is currently the largest luxury real estate auction firm in the U.S., with eight offices across the U.S. and the first U.S. firm to open an office in London U.K. As the CEO/President of Supreme Auctions, it is my job to direct the company brand awareness, and the expansion both here in the U.S. and overseas. Integrity, knowledge, innovation, experience, and honesty are the keys to our company’s success. These core values are the reason why Supreme Auctions has never been in any litigation during the company’s history. We recently spoke with Marianne Sullivan, President and Lead Auctioneer of Sullivan & Sullivan Auctioneers, LLC. Covering all facets of real estate with a specialty in foreclosure and municipal auctions, Marianne has more than 20 years of experience in the field. We explored several topics including the current economy and rise of real estate sales, mobile and social media marketing, and women in the auctioneering industry. PA: How did you get your start in real estate auctions? MS: I took a part-time position for a local auction company in Boston. It wasn’t long before I realized I had a passion for the industry and began a full-time career. Eighteen years passed quickly! In 2007 I felt I had the experience to make the leap starting Sullivan & Sullivan conservatively by renting a few desks in a real estate office. I grew to need a larger office in one year and again after three years. We recently completed an expansion to our new operations center and have settled in nicely. PA: Tell us about your organization – what type of properties do you specialize in? MS: We are a full service commercial auctioneering firm specializing in the foreclosure and municipal auction arena. We sell residential, commercial, and industrial real estate properties, land, and intellectual property. Spotlight On: William Bone, President, National Auction Group, Inc.
For this month’s Spotlight On, we spoke with William Bone, President of National Auction Group, Inc. Covering real estate auctions in every sector nationwide, National Auction Group has established itself as a prominent leader in the field. In our interview, various topics were discussed including the current real estate market, the importance of mobile marketing, and international investors at auction. PA: Please describe your background and your role with the company. WB: I have been president of the National Auction Group, Inc. for 20+ years and have overseen operations and auctions which resulted in billions of dollars in real estate sales in 44 states and 6 foreign countries. PA: How do you think the recent surge in real estate sales is affecting property auctions – positively or negatively? WB: It has been a positive for auctions. Auctions continue to grow in popularity with buyers and sellers. Auctions take away all of the negotiating and back and forth between buyers and sellers, but still leave both parties feeling like they have gotten a fair deal. Auctions will continue to make up a larger portion of the real estate market. We recently spoke with Beth Rose, owner of Rose Auction Group and third-generation auctioneer. Beginning the company in Ohio and expanding to Michigan and Florida, Beth conducts over 400 auctions per year in all areas of real estate. 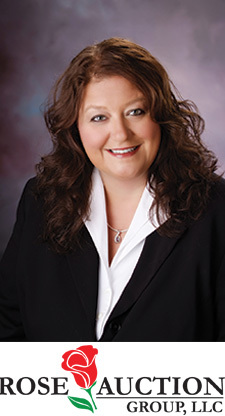 Her solid background and expertise has awarded her as the first female in history to win the Michigan State Auctioneers Association bid-calling contest in 2009, and Auction of the Year in 2010. Topics we discussed with Beth include the development of online auctions, the rise in real estate sales and current economy, and women in the auctioneering industry. PA: As a third-generation firm and company owner, tell us about Rose Auction Company and how you became its leader. 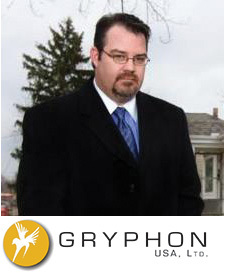 We recently had the opportunity to talk with Richard Kruse, President of Gryphon USA. Recently appointed to the Ohio Auctioneers Commission by Governor John R. Kasich, Richard has vast experience with both live and online auctions, and has recently expanded his company to include OnlineAuctionUSA.com. Specializing in asset management and liquidation, Richard continues to be a strong leader in this sector of the field. Topics discussed include the recent uptick in real estate sales and their impact on the auction industry, online auctions, and the property auction forecast for 2014. PA: Tell us about your company Gryphon USA and why you decided to launch this specialized organization. 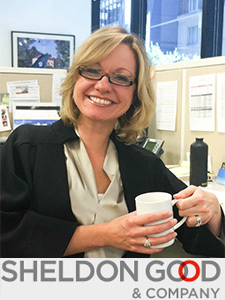 We recently spoke with Stephanie Wilkinson, Chief Operating Officer of Sheldon Good & Company. Representing a host of clients with varied portfolios that include residential properties, developmental land and commercial institutions, Stephanie’s expertise in the real estate auction industry applies to all facets of every deal. We recently spoke with Stephanie on several topics including the current economy and recent uptick of real estate sales, social media marketing, online auctions and what lies ahead for 2014. PA: Tell us about Sheldon Good and your role with the company.